This magazine issue is available via the Internet Archive. This pattern is also available on the Knit and Crochet Today! website. Pattern details are also available by viewing the Episode listing, Show 105: Cables Made Easy. 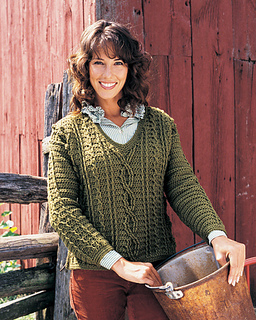 From the description: Show off your crochet cables skills with this sensational sweater!